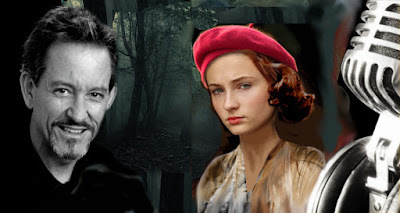 Today I have the pleasure of presenting the gifted narrator of my upcoming WWII spy thriller, Marriage before Death (pre-order it now to be the first to read it.) He has already voiced the characters for the earlier books in the series, The Music of Us and Dancing with Air. I am thrilled to work with him on this project. I wish you could hear the first chapter--which he has just completed--and witness him breathing life into Lenny and Natasha in their new adventure. Don Warrick is an actor who spent his entire life presenting the written word, and is second to none in his storytelling. He is a musician of many skills: teacher, performer, conductor, and recording artist. And he is an audiobook publisher. One day, he took the advice of his son, a writer, and found himself on the ACX page. Many days later he came up for air, realizing that he found the place where all roads converge.